Bursting with color! Use this new design 45" peacock as a production silk, blendo silk, or background silk. Do you get the feeling a TV show is about to begin? Wow, that's no turkey! But it is nearly four feet square! 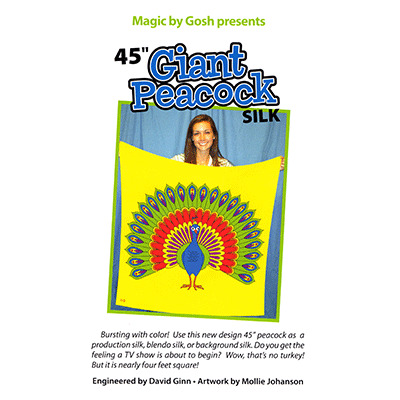 Community questions about Giant Peacock Silk 45"
Review Giant Peacock Silk 45"